In Back to the Future, Doc Brown tells Marty McFly, “Roads? Where we’re going, we don’t need…roads.” Where (or more precisely, when) were they going? Why, the year 2015. As you may have noticed, we’re nowhere near Mr. Fusion or flying cars. Robot cars, however, are likely coming to a road near you inside the next decade. And according to a recent IHS Automotive study, 54 million of them will hit the streets worldwide by 2035, and nearly all autos will be driverless by 2050. We probably don’t have to tell you that forecasting exact numbers 20 and 35 years out is an exercise in futility. The difficulty in forecasting so far out is compounded by the fact that assumptions tend towards the linear, not the exponential. Do we think there’ll be 54 million self-driving cars on the roads by 2035? Provided, transportation tech doesn’t make an unscheduled u-turn? Sure. We might even call the forecast more than a touch conservative. 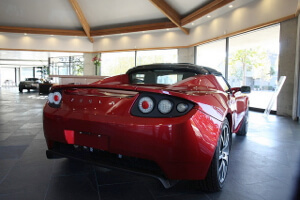 Tesla is gunning for 90% automation in 2016. But never mind the exact numbers, there’s a more important trend at work: The auto industry at large is increasingly dedicated to bringing commercially viable self-driving technology. If 2013’s barrage of announcements and press events by major automakers didn’t convince you, consider the IHS paper’s title, “Emerging Technologies: Autonomous Cars—Not If, But When.” That’s from a blue chip auto industry market analyst. No mincing of words there. Yes, there’s a lot of hype surrounding self-driving tech, and it’s yet to be seen whether it will live up to the biggest promises—but even so, real automation is happening now, and it will dig deeper and get more capable in the coming years. Beyond trying to nail down cumulative and annual sales numbers in 2035, the IHS report does a good job summing up where the major players are now and where they plan to be in the future. The report ranks self-driving tech from 0 to 5. Level 0 is, of course, no automation at all. Level 1, where most major automakers offering the technology are now, includes driver initiated systems that maintain a safe following distance and keep the car inside its lane while in cruise control. Other Level 1 capabilities are self-park and automatic emergency braking to avoid collisions. Nissan tests driverless tech on the track. Several automakers, like Audi, BMW, Nissan, and Mercedes targeted self-driving capabilities by roughly 2020 last year. Others were more aggressive. Tesla, for example, targeted 2016, and Ford promised 2017. According to IHS, the “self-driving” capabilities referenced by these announcements will be Level 3. Level 3 is full automation in certain situations (highway driving, for example). In contrast with Level 2, drivers cede full control to the computer and are not required to keep eyes on the road at all times. The car will be in charge of giving drivers plenty of time to reassume control when required. The next step? Full automation. Level 4 and 5 systems will take over every aspect of your trip, door-to-door. 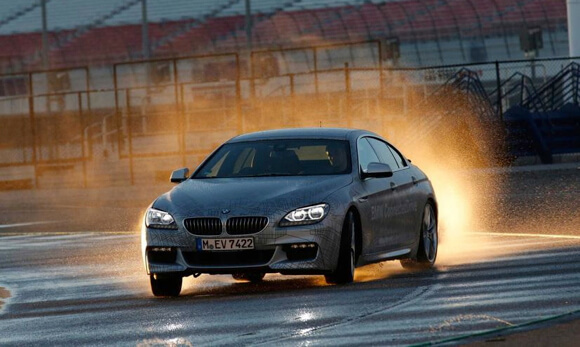 Level 4 cars will maintain the ability to shift control to a human driver. But to simplify systems and reduce costs, Level 5 cars won’t allow human control at all. Steering wheels and pedals will go the way of the dodo. Of those working on self-driving technology, the only firm even talking full automation is Google. IHS says they’re gunning for Level 4 capabilities sometime during or after 2017. To go commercial, they’ll need to find a partner, or as IHS suggests, they may license self-driving software. IHS believes Level 4 and 5 systems will arrive in 2025 and 2030. Driverless technology is seemingly right around the corner. But even after engineers have solved every practical problem, IHS warns unsecured systems, faulty software, and lollygagging lawmakers may mar or delay mainstream availability. Self-driving cars, for example, will likely need to go online for position, maps, traffic data, or to talk to other cars on the road. Anything connected to the Internet can be hacked—a serious risk few carmakers have so far adequately planned for. 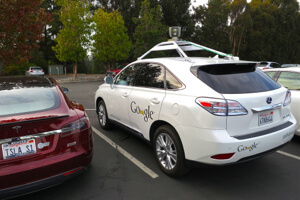 Google has been testing self-driving cars on public roads for a few years now. And as with any new technology, there will be variability product to product. According to IHS, certification, akin to a driver’s license for robot cars, may help ensure a minimum quality standard for approved models. Also, lawmakers will need to determine the rules and regulations allowing self-driving cars on the road. Down the line, and perhaps in the courts not assemblies, they’ll need to tackle issues like legal responsibility in the event of a crash. There will be human and non-human drivers sharing the road for an extended period. Although in most accidents, the blame will more likely go to the human driver, prone to error, determining liability may not be easy. IHS suggests certain precautions, like including event data recorders that document inclusive camera and sensor data. Though lawmakers have considered driverless car laws in 18 US states and the District of Columbia, only California, Nevada, Florida, Michigan, and D.C. have approved bills. Clearly, there’s a lot of work yet to be done. But proponents say the benefits will outweigh the costs many times over. Driverless cars promise to increase efficiency, ease traffic, and most importantly, reduce accidents, injuries, and fatalities. There’s no way to know exactly how it’ll happen or when it’ll happen, but unlike Back to the Future’s flying cars and fusion engines—much of the required technology is either already here or due to arrive soon.